"I really like that desk," said the customer to Tom, who worked the Fifth Street shop on Thursdays. "Yes, it's one of our finest antiques, sir," Tom replied. "Y'know, I feel like just sitting at the desk would help me to write better." "Now, sir" laughed Tom, "the desk comes with no guarantee that you'll write better." "Well, who knows? I'll take it." "As you wish, sir," said Tom, quite pleased to have made the sale and earned a small commission. "You know my name is Tom too," said the man. "Now lemme give it a try: "When in the course of human peoples doing all kinds of neat stuff, it becomes cool for them to boot out the king .... damn, I sure hope the desk works!" 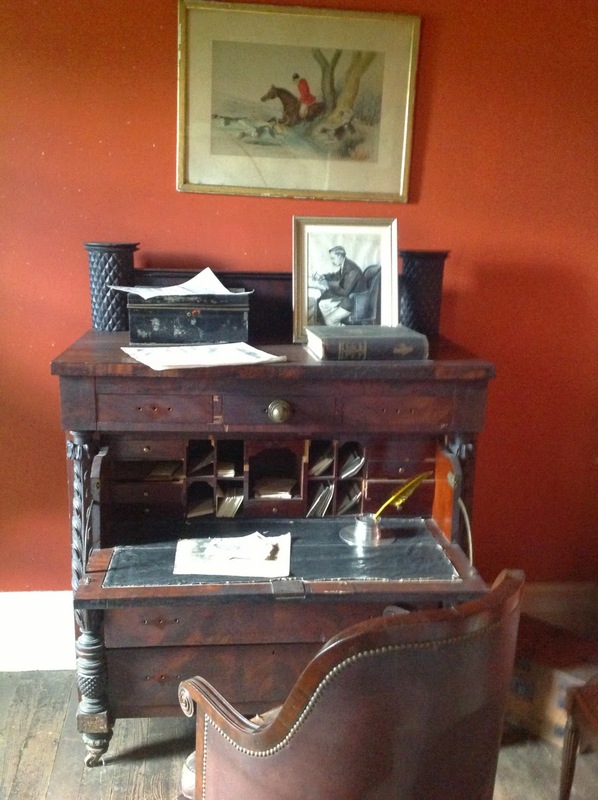 Of course, the other Friday Fictioneers need no such desk other than as the subject of their stories, which are available by clicking here. Let's just re-title this story "A Tale of Two Toms." I think that desk used to belong to E L James. Sure of it, in fact... Nice one Perry. When in the course of human events, I sure appreciate your comments, Susan! I didn't know E.L. James wrote the Declaration of Independence. Always a learning experience here at the Friday Fictioneers! Good luck with that desk thing. I find that holding my tongue a certain way and thinking about Louisa May Alcott helps my writing. Ah yes, the inspiring desk. Bound to work. Maybe that's my problem - I write on a laptop on my lap! I don't think you need the desk, but I'll pay any price! Never in the course of human conflict was ... a smart desk needed so badly! Good story, as always! Why not invite Mr. Thumb and have three Toms the fun? Y'know, maybe it was better the first way, Alicia. Who needs the damn desk? History does not tell us of any other declaration of independence, and certainly not of Jefferson's slaves. Too bad the new state of mind didn't bring him some further enlightenment. I think you just coined a new term --- smart desk! You and me is going into business. I would, but I'd rather invite the Doublemint Twwins and have two mints, two mints,, two mints in one! I agree with Rochelle that holding one's tongue a certain way does help the creative process. Funny piece this week, temporal anomalies not withstanding. Can you locate the desk maker. Many needed nowadays. His story sure is neat, Perry. In the course of my response, I wish to tell you that I loved your story. I think the desk does wonders. Always a great read, Perry. Thanks. Funny how a piece of furniture can be so inspiring. I wish my desk inspired me to dust it. Wonderful use of the prompt. Well done! I'm sure if we looked through Charles Dickens' wastebasket, we'd see the original drafts of the opening pages of A Tale Of Two Cities: "When life is good, it's very, very, good. When life is bad, it's lousy." Go, Perry! Good stuff.